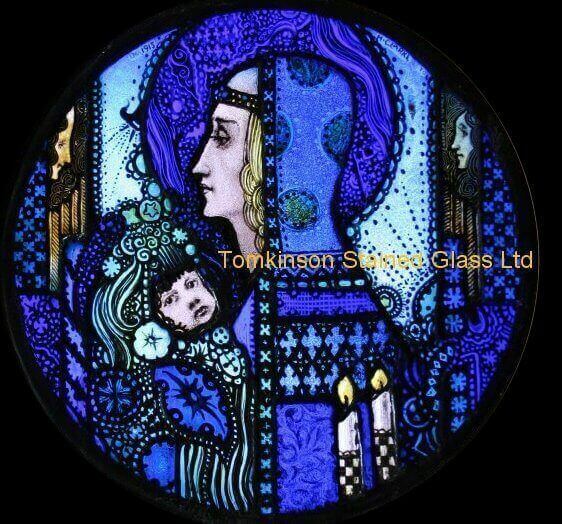 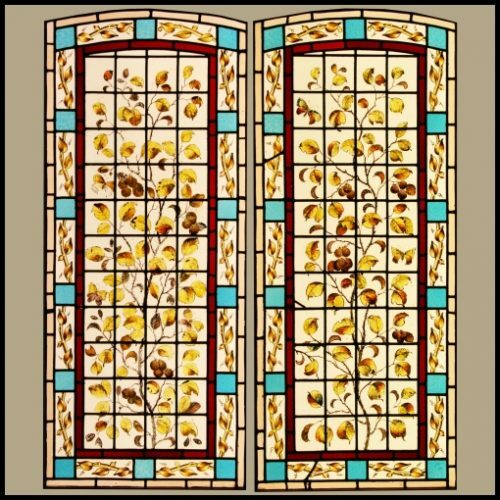 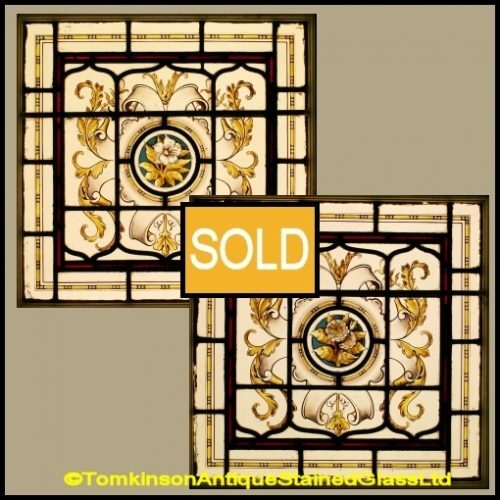 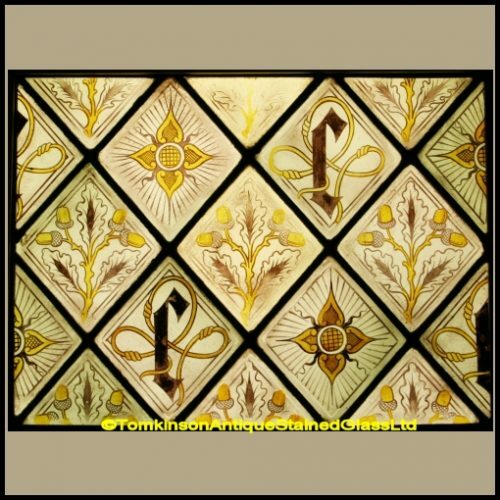 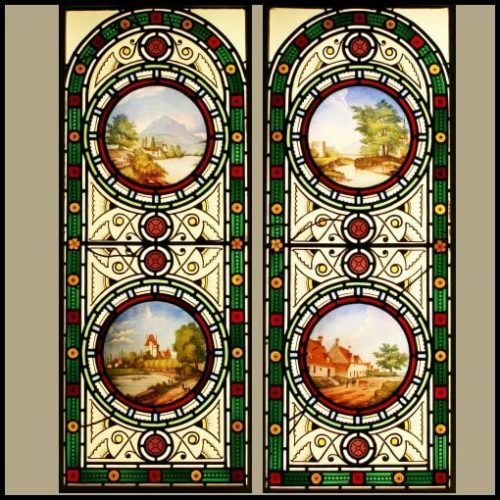 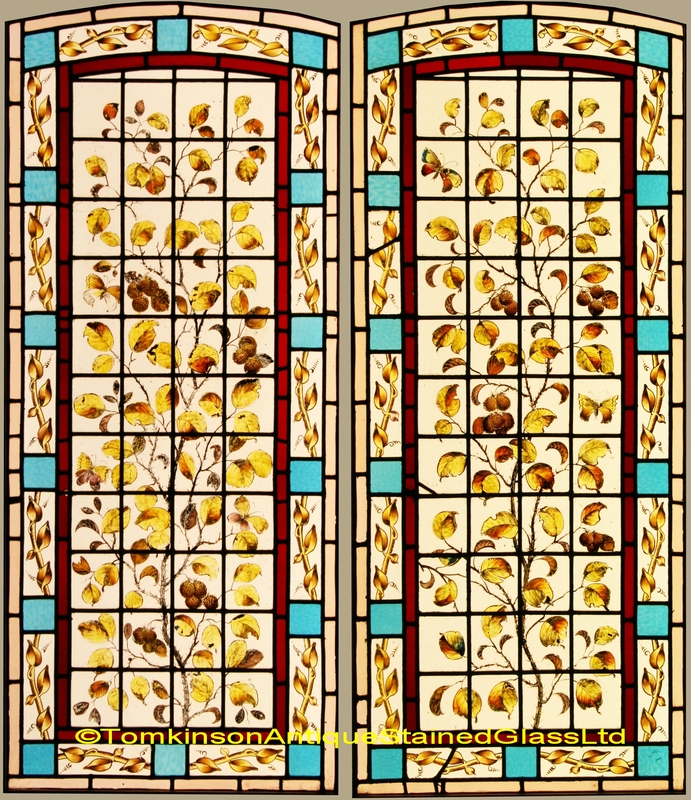 Pair of decorative stained glass windows, each leaded with obscure glass hand painted depicting branches of Blackberries and Butterflies. Around is a border of coloured glass and leaf border. 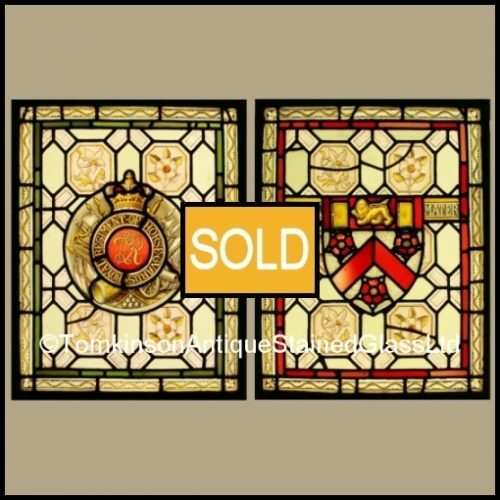 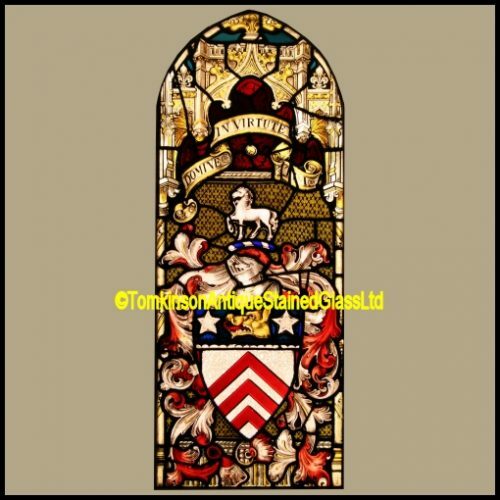 Slight restoration which has kept the windows on original condition.